at the Bulgarian Academy of Sciences is a leading research organisation focused on theoretical and applied research of Bulgarian: theoretical, applied and computational linguistics; general and contrastive linguistics; lexicography and terminology; etymology, history of language and dialects, etc. 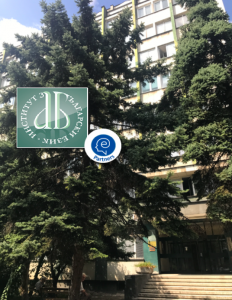 The Department of Bulgarian Lexicology and Lexicography works on theoretical issues and their application in dictionary compilation in three major directions: semantics, lexicology and theory of lexicography. 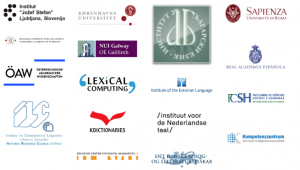 The Department of Computational Linguistics deals with development of theoretical models for formal description of language, development of language technologies to be implemented in various computer applications and systems, development of language resources and tools. In recent years a large number of Bulgarian dictionaries and other language resources focused on Bulgarian have been made available online aimed at researchers, teachers and students in Bulgarian language, as well as the wide public. The Portal LexIT combines ten dictionaries and provides an integrated environment which allows the users to access all resources simultaneously in an easy and efficient manner. Visiting researchers will benefit from having access to all of the resources and services at the Institute for Bulgarian Language and will have at their disposal the expertise of researchers working at the Department of Bulgarian Lexicology and Lexicography and the Department of Computational Linguistics.